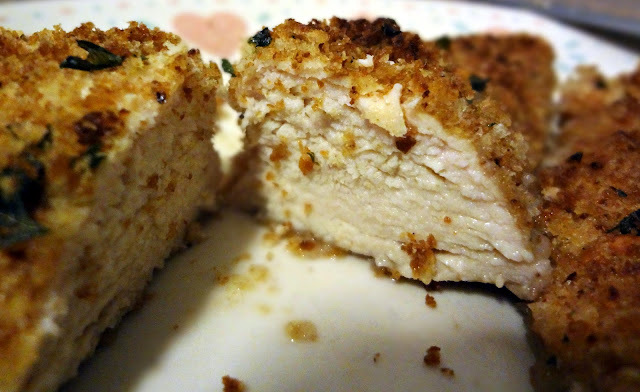 This chicken...it seems like it's not so different from, like, any other chicken recipe I've shared. But...for some reason the (entirely annoying and frustrating process of) covering of the chicken with garlic butter makes them extremely moist and very flavorful. This original recipe was created to use Lia Marie's-some sort of amazing looking garlic butter spread that, unfortunately, I don't have access to. Maybe the butter goes on easier with Lia Marie's than just plain old butter? I don't know. In other news: I'm a TV-a-holic. Summer is a sad time for me, because all my favorite shows are on hiatus! Sure, there are some summer shows I watch. But...not as many! And...most of them aren't as good. *sigh* I love summer but the couch potato that is me needs my showss! I need Sam and Dean (Supernatural), Stefan and Damon (The Vampire Diaries), Liz Lemon and Jack Donaghy (30 Rock), that whole Modern Family crowd, Jules Cobb and the Cul-de-sac crew (Cougar Town), Chair-AKA Chuck and Blair (Gossip Girl), etc. etc. I could go on forever. What are some of the shows you guys are missing right now? Adapted slightly from Tidy Mom "Lia Marie's Garlic Baked Chicken"
Line a baking sheet with foil and spray with non-stick cooking spray. Mix breadcrumbs and salt in a bowl/plate. 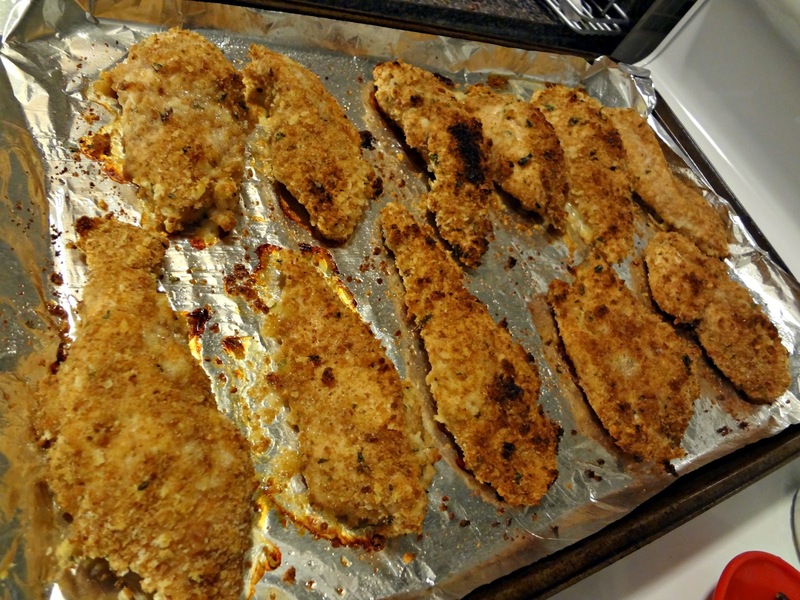 Cut chicken into tenderloins. Pat dry. Spread garlic butter on both sides of the chicken (I encountered some difficult with this but...persevere). 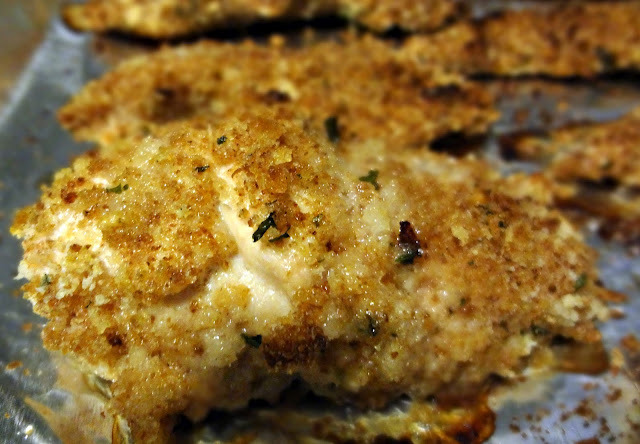 Coat by pressing the chicken into the crumb mixture. Place coated chicken on the foil-lined sheet. Spray top of chicken with cooking spray.